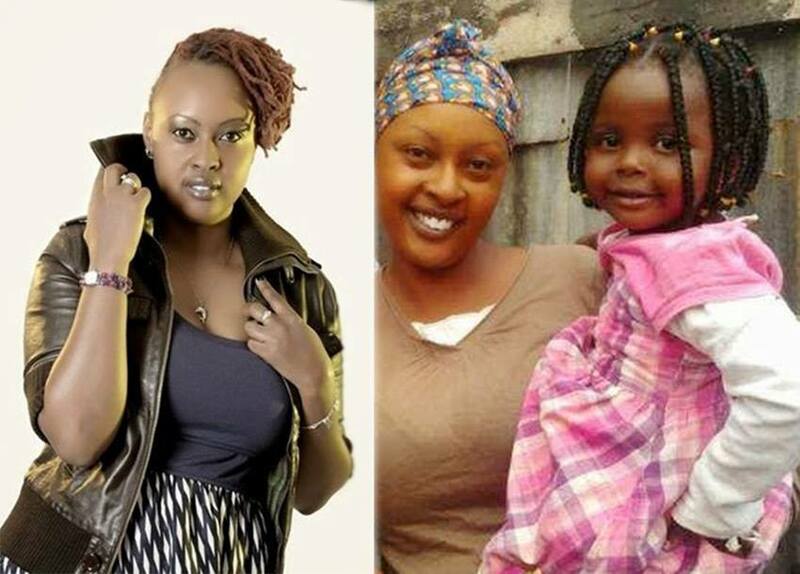 Here are 11 things you did not know about Machachari actress mama Baha. Machachari actress Wanjiku Mburu popularly known as ‘mama baha’ is one of the well endowed actresses in the country. The petite actress was interviewed by one Citizen Digital and here is what she revealed about herself. The last born in a family of five (three boys, two girls), was born and raised in Ongata Rongai, Kajiado County. She has fond memories of her ‘hood’. But first, are social media claims that Rongai is equally inhabited by wild animals and humans true? “My goodness; what is that notion about? Everywhere there are wild animals – a cockroach, a rat… But at Rongai, we have kept our nature with us. Growing up, the animals were freer, they weren’t restricted,” recalls Wanjiku. “Where I grew up, we made the roads by ourselves. Barabara ilikuwa inaishia Mbagathi. Anytime you approached Rongai, you’d be sure to come across giraffes, zebras, warthogs. Around my place there were hippos, crocodiles… The hippos could raid people’s maize plantations; alligators could eat people’s goats…” recounts the actress. Shiks, as close friends call her, attended Consolata and Ole Rai primary schools. For her secondary education she went to Loreto Kiambu School. Wanjiku says Rongai was sparsely populated at that time, and she did not have age mates around her area to play with. Things, however, changed when she joined Ole Rai Primary school. Like most kids growing up during that age, she played Kalongolongo; but surprisingly not her trademark mother role – like in Machachari. “Ati nicheze kama mama? Where, how, why? I was the one beating people – I was huge and tall; so I played a policewoman or a robber,” she said. Growing up, Wanjiku looked up to her elder brothers for guidance and over time she acquired a lot of attributes from them. This, she says, led to her becoming the tomboy she is today. “I fancied riding the bicycle, playing poker, grazing cattle and tilling the farm with my brothers. A lot of people mistake me for a Maasai,” confessed Wanjiku. Even on the show, acting in a motherly and feminine manner is a bit of a challenge. If you’re planning to visit Shiks and ask her to cook for you, woe unto you! She’ll hear none of that. Her dislike for kitchen duties is not a recent development; she’s had an aversion for such tasks from childhood. “I remember there’s this time mum told me to cook chapati. She had kneaded the flour; and left me to do the cooking. Hee! I cooked the first chapo, and it turned out to be very tough! I was ten years old then. I put the dough in a plastic paper and threw it in a pit latrine, na nikasahau hiyo mambo. The flour was 2kgs,” recounts the actress. What did her mum do to her when she returned? Her action would have attracted a beating from most African parents. Why did her mother spare the rod? When you meet Shiks, she first puts into consideration your gender. If you are male, you are sure to hit it off, but if you are female, lengthy silences will rent your discourse. “I have 1022 male friends; and that’s just it. I think I got a lady friend recently; and that pressure came from my male friends. They could say: “na wewe, hata dame huwezi tuletea…” said Shiks. She, however, admits she is learning how to live with female company. Besides football, Wanjiku enjoys swimming, playing lawn tennis and pool table. No one doubts Wanjiku Mburu’s acting prowess, ingenuity and skill. She says her soft spot for acting began at a very tender age of 7. It is this dream which would later see her shortchange her cabin crew course in college for an acting career at the Kenya National Theatre. Because she knew her drive in life, Wanjiku turned down education in the United States. “When KCSE results were out, my dad suggested I go pursue higher education abroad; but I refused. He thereafter enrolled me for a cabin crew course; which I did for a short stint before embarking fully on acting,” she said. Now that she had fully committed to acting; how did she land a role in Machachari? This chance-viewing prompted her to ask God for an opportunity to work with the talented youngsters. So how did she feel when her prayer came true? Being the tomboy that she is, how did score the motherly role? Her success in acting can be attributed to her keenness to understand each character she portrays. Besides her inherent talent, she says her mother inspires her acting too. “Terrence Howard is my ideal actor – there’s something he does with his eyes; which he uses to communicate – you feel his role. Denzel Washington is also very good at transitioning from one character to another,” stated Wanjiku. ‘Mama Baha’ is an introvert, and many a times does not like the attention that comes with her status as a celebrity. She has, as a result, devised a means to keep her unrecognizable when she is in public places. She says such incidents have reoccurred quite often to an extent she’s mastered the sequence. She however says she is very fond of Baha and Govi. “I am growing stronger by the day; if you look at me, sikai kama mtu amedhoofika; niko tu sawa,” she affirmed amid laughter. She however has qualities she prioritises in a man. “If I were to date a man, I would go for one who appreciates me for who I am; even in my tomboy nature. Above all, he should be honest and loving,” she concludes.